Once again the kids are sick. Yes, both of them. Valerie was just sick *last* week. She was just starting to get over it. During the night she was up complaining her throat hurt again. Today she is vomiting and has been laying on the couch most of the day. Veronica started with a runny nose Wednesday, and it's progressed to a nasty cold. Yucky cough.... We were in town last night and decided to grab something to eat at a new Mexican place. Veronica was eating and coughing at the same time. Literally shoving chicken in her mouth and coughing. Moms you know where this is going!!! She had just finished her food and had a coughing fit... and we saw her food again. Yuck. Luckily I had a change of clothes for her but I couldn't get out of there fast enough. How embarrassing. The good news is that Veronica has been doing very well out of the house with potty training!! She has been trained at home now for months, but it has taken me a while to get up the courage to pursue it in public. So far, so good!! We were in awe at this huge, double rainbow outside our front door a few days ago. We don't see them very often and usually it's a partial or very faint. This was the biggest, brightest rainbow I have ever seen in my life. It went from one end of the sky to the other. Pictures do not do it justice! Or maybe if I would learn how to use this fancy camera of mine I could get better pics. I hate being sick. It always brings me to tears when I feel bad and can't keep up with my regular routine. Mommys just don't get any sick days. Valerie is sick also. She complained of a sore throat for a few days and yesterday developed a nasty cough. I debated do we go to the movies as planned? Or do I cart her to the doctor? The doctor won. I'm glad I brought her in because she had the beginnings of an ear infection and some chest congestion. Waiting would have only made it worse. But Val is okay. She has her Mommy to take care of her. And when it's Veronica's turn, she has me to take care of her too. When Clint isn't feeling well, I look after him. Add my Dad too, when he needs me. But who is there to look after me when I'm sick? I'm entering a contest for a month's worth of Cottonelle toilet paper as a member of the Mom Bloggers Club!! By leaving a comment on this post you will be entered to win 1 of 10 Cottonelle gift baskets randomly chosen on January 29, 2010 from all entries. Check it out and good luck everyone! Just a couple pics from Val's party. Oh and the cake! 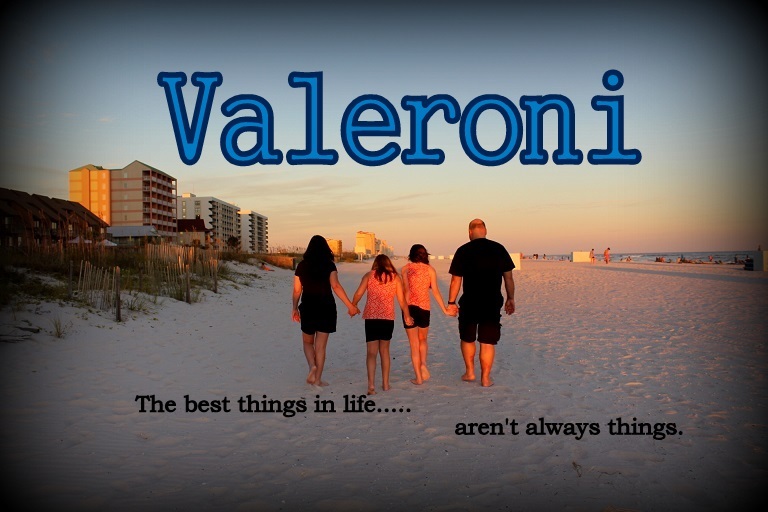 Happy Birthday Party Day to Valerie!! Today was Valerie's 5th birthday party. I am glad we decided to have it indoors as it is absolutely freezing here. She picked the (dreaded) Chuck E. Cheese. I picked 10am for the 100 bonus tokens and the hope of it not being very busy so early in the day! It wasn't... there was another party going on and it happened to be someone I know. It wasn't crowded at all. Anyway, Valerie had a GREAT time, and I'm so glad she enjoyed her special day. People are just so rude and inconsiderate. We had several yes RSVPs that were no shows. And we had to pay for them. It wasn't a whole lot of money, but still... It annoys me to no end that people don't care enough to let you know their plans have changed. Sometimes things happen that can't be helped and that is understandable. I just did not appreciate paying for kids who didn't attend, no matter the amount. Lesson learned. Next time I know better. Today marks the end of another Holidailies!! I did fall behind thanks to our internet issues, but I managed to catch up. This year seemed hectic with all the holiday obligations, but I think I did fairly well considering. One post was picked the Best of Holidailes. Not bad... not bad at all. I only wish I would have had more time to read all the great blogs on the portal page. I did skim through and read random posts. Maybe one day soon I can go back and check out a few more. Thanks to all my visitors for reading along! And I look forward to Holidailies 2010!! And I leave you, dear Holidailies readers, with a very easy jambalaya recipe. There are many different ways to make it, and this is mine. A friend in California once told me he had jambalaya at a restaurant and it was served with rice. That confused the heck out of me until he sent me a picture of some tomato sauce mess poured over rice. Um I don't think so!!! I don't measure anything so these are just guesses and can be altered to taste and adjusted for the amount of rice cooked. seasonings to taste - if you like spicy. We don't. Basically put all of the above in a pot, stir and bring to a boil. Lower the heat and cook just like you would rice! Once the rice is cooked, stir and enjoy your jambalaya!! It's c-o-l-d! This has been the coldest winter in years. Usually our winter is mixed temps - one day it's 70, the next it's 40. It's been pretty darn chilly for the past month or longer. These 20 degree nights are a bit much for the South! And according to this http://bobbreck.blogspot.com/ , we may be in for some of the white stuff? Really?? On of all days... SATURDAY. The day of Valerie's birthday party, which was already cancelled. Snow equals icy roads, which means dangerous driving conditions.... so what the heck do I do about her party? I will be incredibly sad if we have to cancel it again due to the weather. Don't get me wrong, I would LOVE love to see some snow!! Just not Saturday morning, please! I finally finished Twilight. I'm probably the last person on earth who hadn't read it before now. Some of it I found quite annoying. The mindless banter between Bella and Edward was just that - mindless. I guess it is supposed to be "witty," but I didn't read it that way. It was more of are you done yet?? But it was a decent read, and it got better a little bit past the half way point. It was interesting enough for me to keep going back to, so that counts for something. I'm about a third of the way into New Moon, and I'm liking it more than the first book. Maybe it's because Edward isn't in it. Yet. After this I'll just HAVE to read the other books. I can't not finish the series after reading the first book. I will not get sucked in. I will not get sucked in! I will not get sucked in and become a crazed fan!! But I am looking forward to reading the books. Seventeen months. It dawned on me that yesterday made seventeen months that she's been gone. Nights are always the hardest. For the longest time, I didn't think I would ever sleep with out popping a pill or two. Something to knock me out and numb the pain. Now, thankfully, most nights I sleep several straight hours. Sometimes I wake from a dream of her and I think how happy I am to "see" her again. Yet it is a sad reminder that she is gone. I'll lie awake sometimes unable to fall back asleep and those thoughts come creeping in. Her screams. I can't erase her screams. I sat next to her holding her hand. Talking to her. Trying to think of something significant to say. Struggling to find the words you are supposed to say to someone on their death bed. How do you say goodbye to someone who has been there every day of your life? Instead, I found myself almost wishing she'd die. Just so it would be over. I see her lying in bed. But she's not there anymore. Cold. And my eyes sting and my chest hurts and I push the sobs away. I don't want to go to that dark place. I just want to sleep. We parents always try to make the best decisions regarding our children. Especially when choosing people to be a part of your child's life. What do you do when that chosen person fails? Unfortunately it is a mistake that can not be undone. What was agreed to be a lifetime commitment has fizzled to nothing in less than three short years. No interest in my child's well being. Milestones. No concerns. No celebration of accomplishments. Nothing for Christmas. No interest at all in my child. We made what we thought was the best choice and failed. We thought enough of this person to ask them to be someone very special in our child's life. It has been nearly a year with no contact whatsoever. With out any explanation. What's special about that?? Nothing. This angers me. And is not something I will easily forget. Thankfully someone has stepped up to fill the empty shoes. But still... it shouldn't have to be that way. Why make a commitment to a child and turn away like it means nothing? If only we would have known, Clint and I would have made a very different choice. I would really like to work on myself this year. Somehow, some way I MUST lose this extra weight. I have the exercise part down. You'll find me at the gym at least three, sometimes four mornings a week. My minimum is 40 minutes of cardio, but I think I may increase it to 50 at least twice a week. I was doing a few rounds on the weight machines, but earlier in the year I injured my shoulder. I just started doing a few reps with very light weights to get used to the motion. Hopefully this year I can get on track to eating better and healthier. Last year I did quite a bit of decluttering around the house. Freecycle is the best. My house is in MUCH better shape (most days) than it used to be. I'd like to do more. Hello 2010. Let's hope this is a good year for everyone.